Pushing genre boundaries aside, Phantom Winter brings youa heavy mixture of metal, sludge and doomy rock.Psychedelic sludge, merging doom and mighty mighty riffs tocreate a sound on their own, Phantom Winter deliver theirdebut ,CVLT" for Golden Antenna.Recorded at ,Die Tonmeisterei (Tephra, Omega Massif etc. ),CVLT" takes you on an intense journey through differentlevels of extreme music which they themselves call,Winterdoom". In Phantom Winter matchless musicianshiphits the distressed vocals by Christian Krank to achieve oneof the most awe-inspiring pieces of music to be released thisyear. The vast artwork was done by Hummel Grafi k (Planks,Minot, Omega Massif). On Into Dark Science Phantom Winter return with more brute force than ever. After CVLT (2015) and Sundown Pleasures (2016) they now follow up. With their third full-length Phantom Winter found a new language to express extreme heavyness where other bands from the same genre already resigned. They channel depression, anger and severity on an authentic manner that goes it own way regarding vehemence.The record contains six songs about your inner monsters, retaliating ogres and the omnipresence of darkness that we all carry within us. "It is a journey through the dark worlds of authors Sylvia Plath and Mary Shelley. Into Dark Science is a way to accept and channel my inner demons to create something worthwhile and productive" says Andreas Schmittfull who is the mind of Phantom Winter. Six chapters who tell a story of a being who lives in a world which keeps most people paralysed.Emotional brutalness combined with a gigantic and back-breaking mix of low-tuned atmosphere and riff-orientated brutality in symbiosis with pounding and sometimes cyclic drumming which takes the audi ence further into a maelstrom. Just now this gloominess reflects in the arcane and mysterious design by Hummel Grafik who is once again responsible for the artwork. 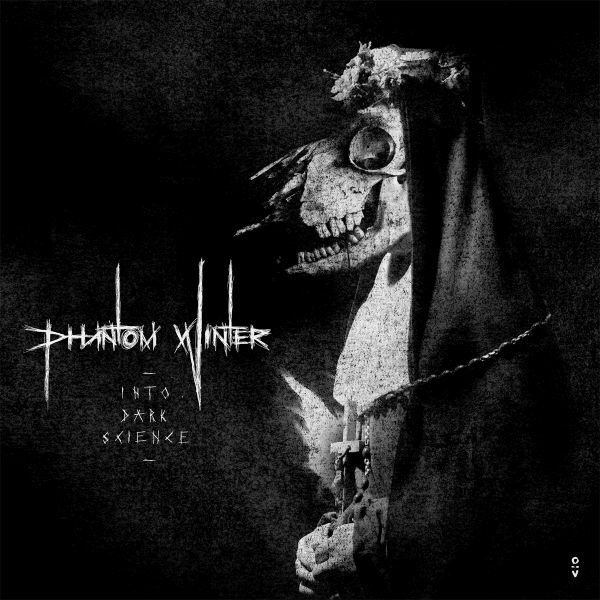 On Into Dark Science Phantom Winter return with more brute force than ever. After CVLT (2015) and Sundown Pleasures (2016) they now follow up. With their third full-length Phantom Winter found a new language to express extreme heavyness where other bands from the same genre already resigned. They channel depression, anger and severity on an authentic manner that goes it own way regarding vehe-mence.The record contains six songs about your inner monsters, retaliating ogres and the omnipresence of darkness that we all carry within us. "It is a journey through the dark worlds of authors Sylvia Plath and Mary Shelley. Into Dark Science is a way to accept and channel my inner demons to create something worthwhile and productive" says Andreas Schmittfull who is the mind of Phantom Winter. Six chapters who tell a story of a being who lives in a world which keeps most people paralysed.Emotional brutalness combined with a gigantic and back-breaking mix of low-tuned atmosphere and riff-orientated brutality in symbiosis with pounding and sometimes cyclic drumming which takes the audi ence further into a maelstrom. Just now this gloominess reflects in the arcane and mysterious design by Hummel Grafik who is once again responsible for the artwork.